Paradise is not lost. Maya Bay of the Phi Phi Islands has resurrected from the loss and devastation suffered from the 2004 tsunami, and it is as magnificent as ever. Maya Bay is stunning and luxurious with panoramic views of the Andaman Sea. 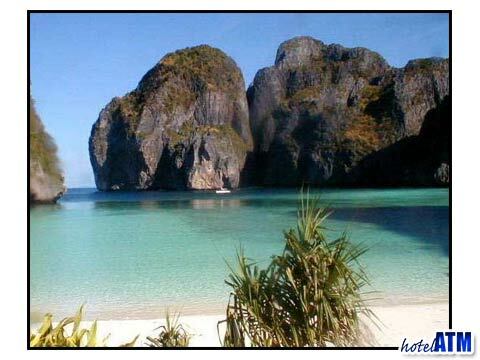 Maya Bay is best known for a number of movies filmed there, including "The Beach" starring Leonardo DiCaprio. Maya Bay in the Phi Phi Islands is shallow with crystal clear water and splendid coral formations. Both novice and experienced divers are drawn to Maya Bay because of its abundant rock formation that drop to a depth of 18 meters; and just outside the bay - the 30 meter wall dive with caves, valleys and swim-throughs made by underwater rock formations. Snorkeling is also popular in Maya Bay. The visibility is unlimited in gentle waters, and the experience is nothing short of magnificent. It is said that Maya Bay has the most stunning beach in Phi Phi, and embraces luxury with the fragrance of orange jasmines lacing the wealthy rural Maya Bay Thai village nestled in the bay. Leonardo Di Caprio, The Beach, Maya Bay. Maya Bay will always be remembered for the Leonardo Di Caprio movie, The Beach which idealized the striking setting and alluded to it paradise atmosphere. The 2000 movie won many admirers for the Phi Phi Ley Maya Bay scenery but the movie didn't really win over the hearts of the movie goers world wide. Still, many come to the island just to see the spectacular bay. The Phi Phi Islands are located in the Phang Nga Bay (Krabi Province) located in the Andaman Sea. This stunning setting is located in the Eastern Indian Ocean. Phi Phi Don is the main island and is shaped like a dumb bell. Phi Phi Li is the smaller island and is uninhabited with the exception of guards stationed on the island to protect the cave at Viking Cave. Local residents of the Phi Phi Islands collect swift's nests at the cave to make Bird's Nest Soup. The company owns the rights to the cave and tourists must ask permission to enter. The two islands of Phi Phi can be traveled to by boat from Phuket, the Chao Far Pier in Krabi Town and Ao Nang. The Phi Phi Islands consists of steep cliffs that rise vertically from the sea, and hidden bays hold the glorious beaches that border calm clear water. While Maya Bay and the Phi Phi Ley Island are well known as diving and snorkeling paradises, the Phi Phi Islands also offer tourists a myriad of great activities to partake in. There are fabulous scenic Phi Phi Island excursions that include canoe tours, kayaking touring, fishing charters and rock climbing adventures. 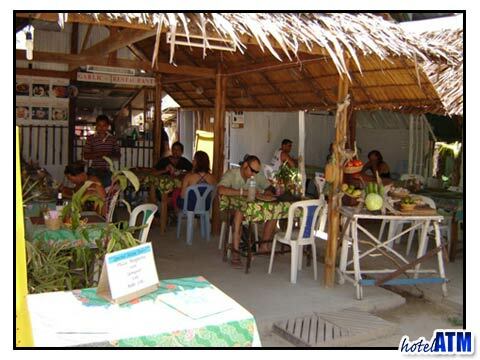 There is also a National Park - Koh Phi Phi Had Nopparat. It covers 390 square kilometers in Krabi Province. If there is a heaven on earth, it just might be in Maya Bay of the Phi Phi Islands. It is the perfect vacation spot for couples and families offering opulent luxury in one of the most highly desired destinations in the world. Discover Paradise - Discover the Phi Phi Islands and Maya Bay.